For years, I have dreamed of owning a Spinlock PFD as they are the very best inflatable flotation devices on the market. They are comfortable to wear and have the best reputation on the market. 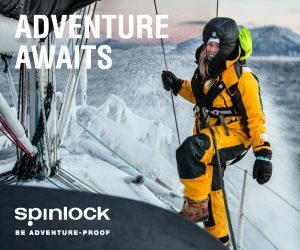 With our new boat ‘Salter’ due to launch in the next week or two, we needed to fit out the boat with all the safety gear and I contacted the crew at Spinlock Australia to see if they could support us. I was so happy when Grant Pellew got back to me and asked how many we needed. A few days later and our new Deckvest Lite PFD’s were on our doorstep. Annika couldn’t wait to try one on and instantly she fell in love with it. We’ve managed to get the best color in the range (by our reckoning) in the Pacific Blue, which is an appropriate name for us as well. The new boat will be rated for offshore work and hence the requirement to not only have PFD’s on board, but be wearing them as well. The advantage of these inflatable PFD’s is they are light and comfortable. If you’ve never tried one on then you don’t know what you are missing out on. Sailors across the world know all about them as they are the first choice for sailors anywhere. Even in the Volvo Ocean Race they have Spinlock PFD’s that are custom designed for that race. 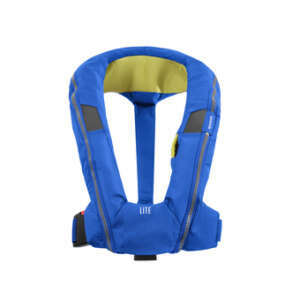 Fisherman and recreational boaties are slowly realising how good these are for family safety. For those keen paddlers out there, these are perfect. All you need to do is get the manual activation set up and you are away. You won’t want the auto inflation model as every time you fall in, the jacket will inflate and you will need to get a new cartridge. Most of the time you don’t need the flotation of a jacket when paddling, yet when required you can pull a lever and you are inflated and safe. The convenience of these jackets will make your paddling adventures so much more enjoyable. 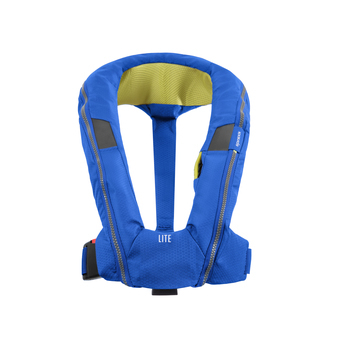 They are light, comfortable and a lot cooler than a standard PFD. They are also smaller to carry if you are heading away. And yes you can travel with these jackets. You need to remove the canister before going on any flight and advise them of it, however as long as you don’t have a heap of canisters then you will be fine to fly. I believe it is safer to remove the canister so that if there is an issue with the canister exploding for some unknown reason, your jacket doesn’t explode in your bag. In the latest range of jackets there are now commercial jackets as well. For the many years I was working on work boats up north, I hated the jackets that were supplied. They dug in, were heavy and after a full day out on the deck, you just threw them in the corner, relieved to be out of it. The new Deckvest Duro looks amazing and I’m stoked to see Spinlock enter this market. One of the biggest issues I had as master was making sure the crew wore their jackets. If they were comfortable and light, like these new Duro jackets, then crew are more likely to wear them. 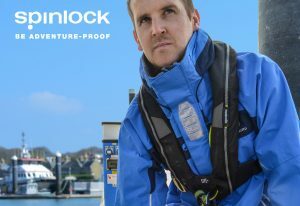 You can find the Spinlock range at any reputable marine store and once you try it on, you will know what I am rambling on about here. I can’t thank the team at Spinlock here in Australia enough for this generous support of our campaign. To know our crew have the very best safety gear is peace of mind. And I know they’ll be happy to wear them too.